The game was also licensed to Stern for distribution around the United States shortly after it was released. This game was never a huge, huge hit or reached the heights of the likes of Pacman or Asteroids for example, but it was still well known enough to warrant home conversions to popular 8-bit machines such as the ZX Spectrum, Amstrad CPC646 and C64. 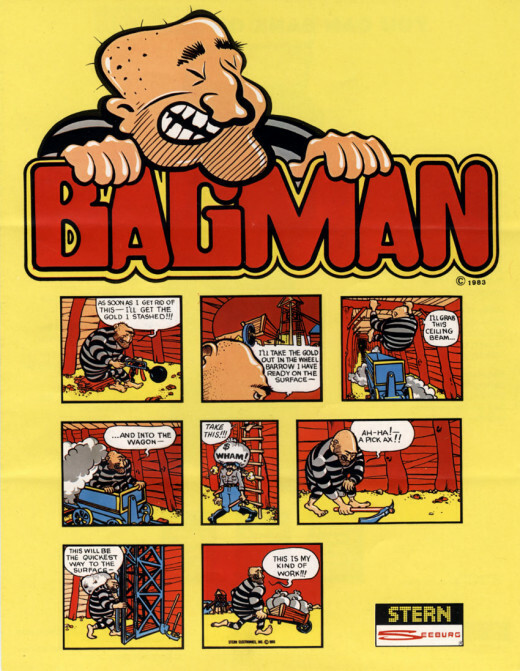 The objective of the game is to move (playing as the 'bagman') through various mine-shafts, collecting bags of swag and dropping them in your wheelbarrow at the surface of the mine. The player must avoid guards who relentlessly give chase at all costs, as well as moving mine-carts, and descending low-level elevators. 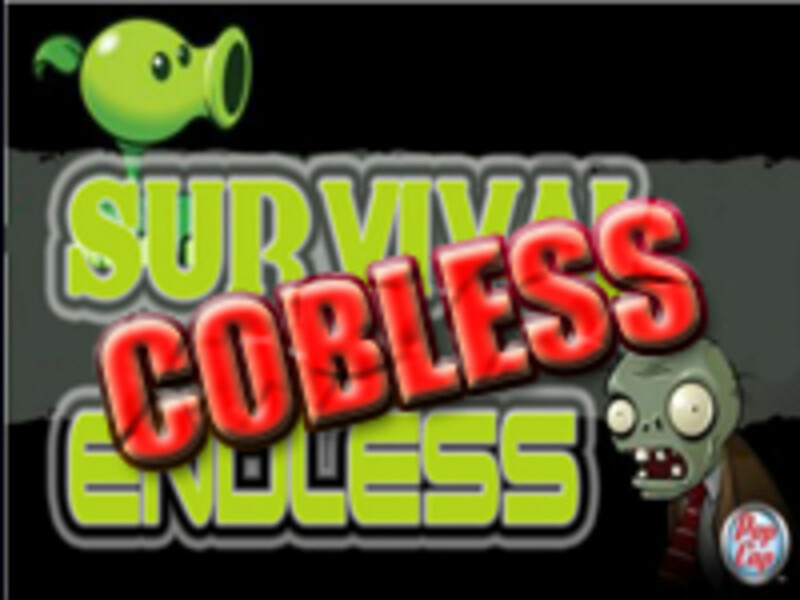 It was possible to fight back against the guards though by temporarily stunning them by striking them with a pickaxe (which you could collect) or by the more humorous method of dropping money bags on them when they are below the player on the same ladder. There were three interconnected screens that you could move between using passageways and shafts to the surface to make your way around. 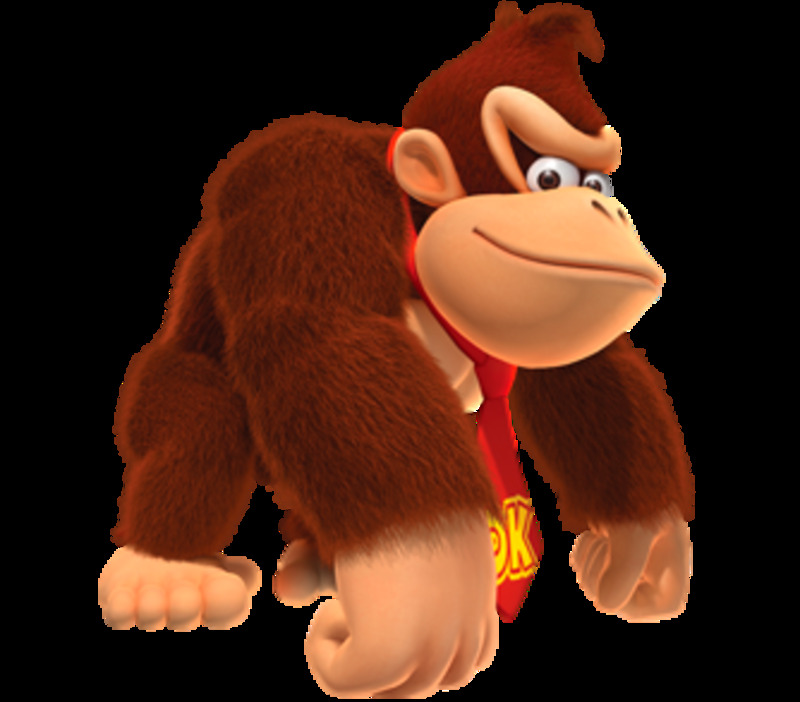 At various points in each tunnel there were 'grab bars' which you could use to pull yourself up off the ground and avoid any mine-carts that constantly moved horizontally across the screens. The carts would pass below you rather than running you over! You could also drop into a mine-cart this way and use it to hitch a lift across the screen and even into the next screen as the carts moved between screens if the passageway allowed. A little bit of strategy was required when collecting the bags of coins as you would move around the screen more slowly while the 'bagman' was carrying which allowed the guards to gain ground on you. The fun was knowing when to drop and run and when to stun! Despite the game only being spread across three screens, the overall level design worked extremely well. 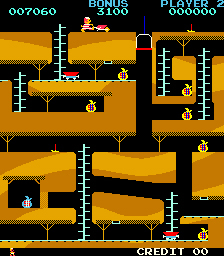 The tunnels and shafts interconnected nicely and the extra features such as the ladders and mine-carts added a little extra dimension to the gameplay if you zipped through more than one screen sitting in a cart. You could use the level layout to outwit the guards who were always hot on your heels. Below is a screen-grab of all of the screens joined together. 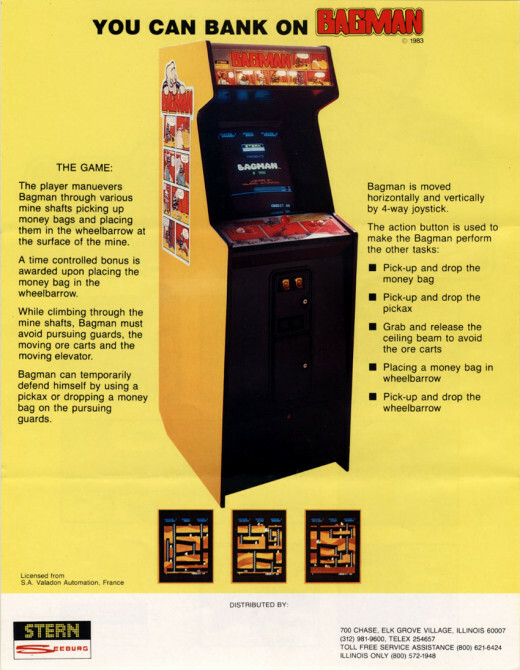 Bagman was played using one 4-way joystick and one 'fire' button. The joystick was also used to jump out of the moving ore-carts. You would accumulate points by dropping a money bag into the wheelbarrow, for stunning a guard and by simply walking around! How should Bagman be regarded? The technology this game ran on was pretty standard for arcade hardware of the era. Bagman ran at less than 3.1 MHz and featured a palette of sixty four colours. The in-game music was supplied by the trusty AY sound chip, and the digitized speech was made possible via the Texas Instruments speech chip, which was also found in the likes of their educational electronic toys such as Speak N Spell and Speak N Maths. The screen rate would refresh at nice 60 Mhz and the game would support up to two players. Due to it being a popular choice with gamers Bagman ended up being converted to a number of home computers during the 1980s. On home machines the game was called 'Gilligan's Gold' and was released by Ocean Software. 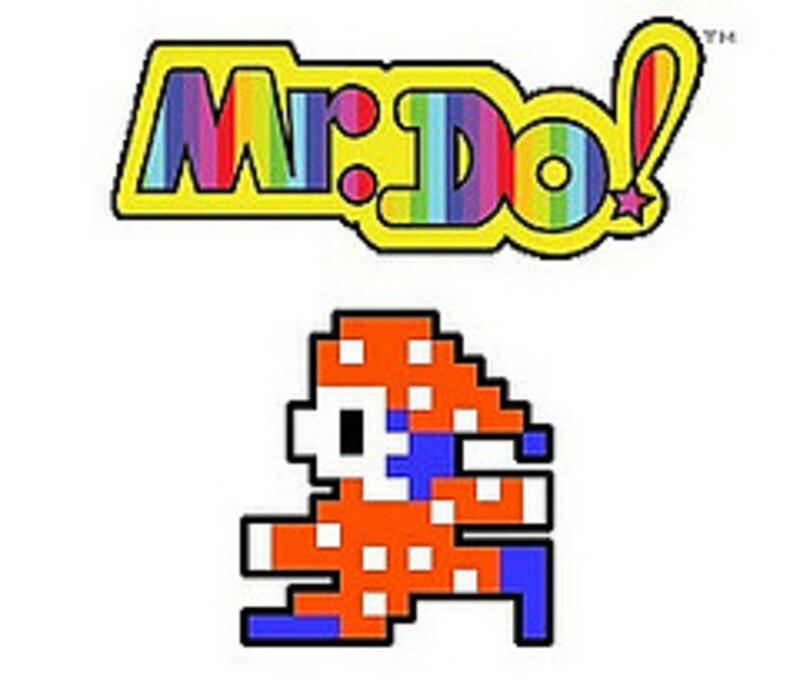 Despite the change in name the game-play and screen layout remained very close to the arcade original. Due to the relatively simple nature of the game it converted well to the home machines and all versions were pretty playable and addictive. I myself played the ZX Spectrum version a lot and enjoyed it's fast paced action and humour. Gilligan's Gold was a pretty big hit on three of the main micro's of the day and was also later featured on the Soft Aid compilation tape. A follow up to Bagman was released a couple of years later in 1984 in the shape of 'Super Bagman'. 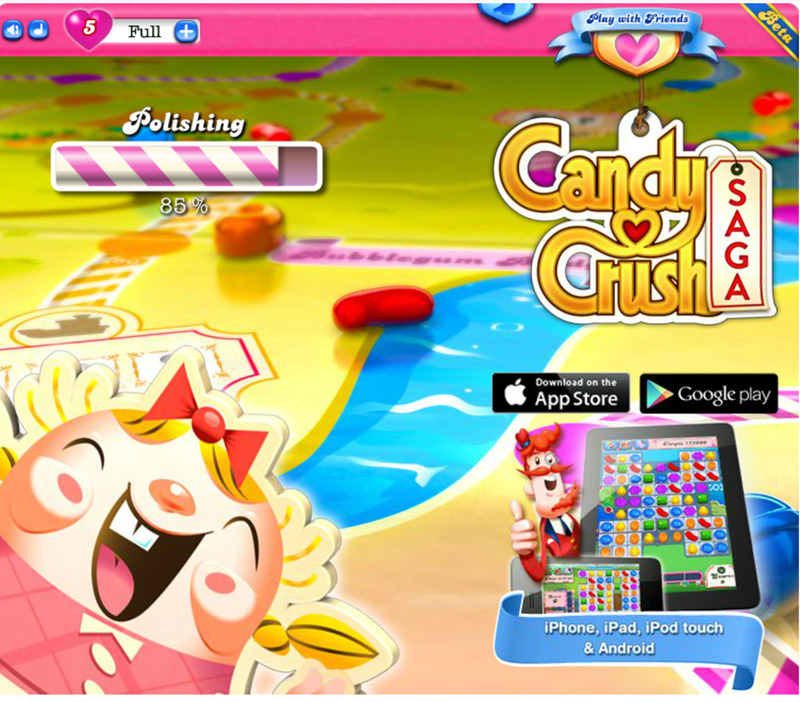 The game-play was similar in style to its' predecessor yet if featured improved graphics and different obstacles to overcome. Despite being a good game in its' own right it never quite managed to capture the magic of the original Bagman. 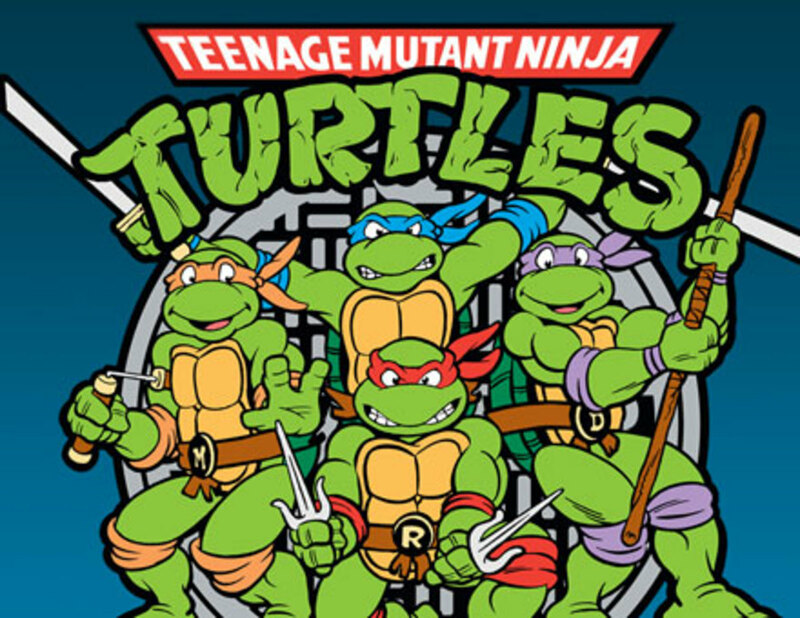 Hey Jacob, I played 'Gilligans Gold' on my ZX Spectrum which was basically a carbon copy of this game. 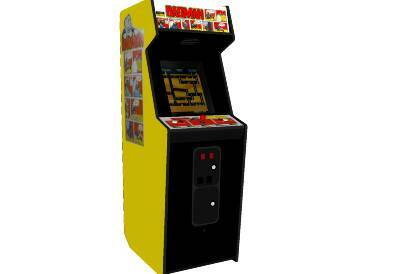 I used to play bagman or a game similar on this game console that I used to plug in the tv. Ah - sorry, I should have realised! You've found one. Thanks for sharing. Voted up.